Although most adventurers come to Nepal for mountain trekking, there are also many other adventures you can enjoy near Kathmandu and Pokhara before or after trekking. Here are some ideas you should include when planning your Nepal itinerary. your hotel rooftop you can watch the gliders soaring above Sarangkot peak or enjoy 30 minute tandem flight. The newest adventure in Pokhara is zip lining and from the back side Sarangkot peak you can take a thrilling ride on the world’s fastest zip line along the steep slopes of a forested valley and across a river, before landing next to a Tibetan Buddhist monastery. A few hours north of Pokhara the Kali Gandaki river has 4+ category rapids that can be experienced on a 3 day rafting trip. If you prefer a shorter, and not as challenging rafting experience, you can take a one or two day trip along the scenic Trisuli river that parallels the road from Kathmandu to Pokhara. Even closer, the Seti river passes right by Pokhara and offers great 2 day rafting and kayaking trips. Also nearby you can enjoy biking along the road that skirts Lake Phewa through quaint villages shadowed by the soaring Annapurna peaks. A half-day bike ride can be combined with a boating excursion, starting with a visit to the Hindu temple in the middle of the lake. Another 20 minutes of paddling will bring you to a secluded cove and a trail leading up to the World Peace Pagoda from where you will have views stretching across the lake to the iconic Machepuchre (Fishtail) peak. The International Mountain Museum is a fascinating place to spend several hours. It has exhibits documenting the exploits of Himalayan mountaineers, as well as Nepal’s diverse mountain village cultures. There are also many colorful exhibits on the geology, flora and fauna of the region. Pokhara is also renowned for its many yoga and meditation centers which offer everything from drop-in classes to long mountain retreats. The beauty and peacefulness of the region lends itself to these relaxing and contemplative activities that are especially rewarding after completing a challenging trek. There are many lodging options in Pokhara, from basic guesthouses to world-class deluxe hotels, some with swimming pools. Along the lakefront there is shopping, great restaurants, and evening entertainment. A few days in Pokhara is a well-earned reward after an arduous trek or a perfect destination vacation all by itself. As a special reward from iTrekNepal, anyone booking an Annapurna trek of 10 days or more will receive a free night at the beautiful Waterfront Resort in Pokhara. Just mention this to your iTrekNepal representative when arranging your trek to insure that it is included in your itinerary. The “hidden valley of Gundu”, one of the most beautiful and pristine places in all of Nepal, is just a short walk from the center of Bhaktapur. For our iTrekNepal guests who stay with us in Bhaktapur before the start of their mountain treks, a hike in the Gundu Valley is the perfect way to stretch their legs, experience Nepal village life, and for us to get to know each other. The hike starts with a visit to the temple at Surya Binyak, set in the forest near the top of a hillside. The temple is dedicated to the Hindu god of wealth and where draws devotees come to seek good fortune for their children and for starting new ventures (like a “once-in-a-lifetime” trek). animals, a forest so rich in wildlife that is slated to be a national wildlife park and recreation soon. 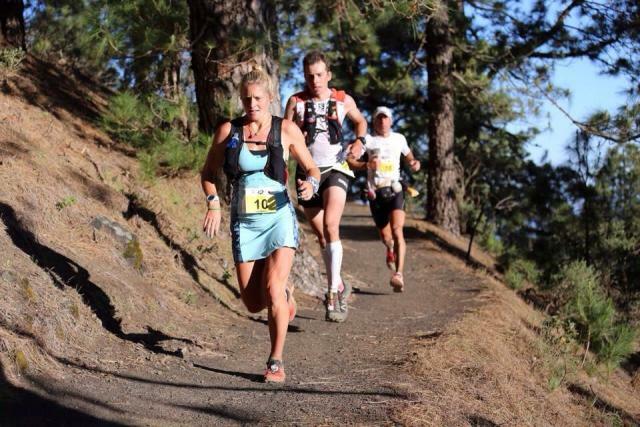 find out more about various routes and activities at Trail Running Nepal. As we descend further into the valley we eventually come into Gundu village where we can visit with local families in their homes or spend time enjoying the schoolchildren in Gundu’s Himlayan Academy, a private school where students delight in meeting English-speaking visitors. For now Gundu is a largely undiscovered wonderland of pure Nepali village culture and natural beauty that is an unexpected treat for iTrekNepal guests. 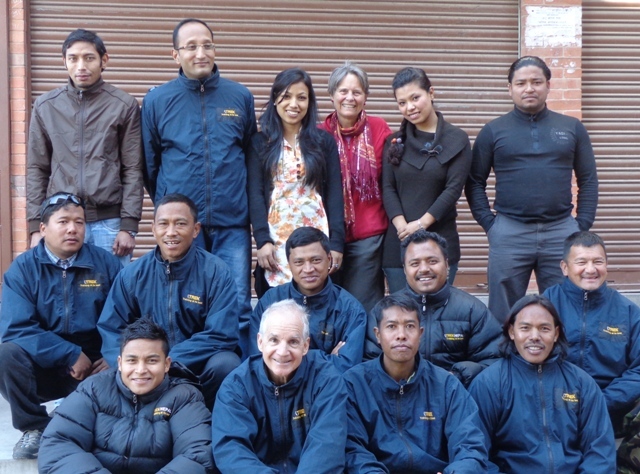 This fall iTrekNepal will be celebrating our 15th season managing treks in Nepal and the Himalayas. We have learned a lot through the years, especially from our trekking guests who have given us such valuable feedback on ways that we can improve. We are especially proud that most of our guides and office staff have been with us since the beginning days of the company. They’re all professionals who love to design and lead treks that leave our guests with lifetime memories. 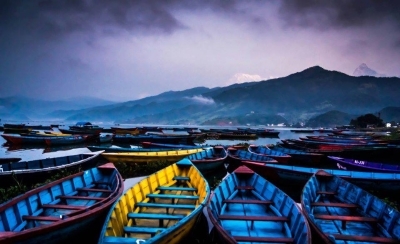 Anyone booking a 2014 or 2015 trek of at least 10 days will receive an extra night accommodations at a deluxe hotel in Pokhara, Kathmandu, or Bhaktapur . Hotels include the Waterfront Resort in Pokhara, Hotel Shambala in Kathmandu, and Hotel Heritage in Bhaktapur. Just ask your iTrekNepal representative to add a free deluxe night when booking your trek before September 15.
iTrekNepal is pleased to be launching our project to support the education of our trek porters. A portion of the proceeds from each trek will be contributed to this fund thatwill be distributed according to the requests and needs of our porter staff families. To find out more about this program please visit our Porter Education Project Facebook page.